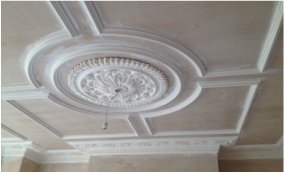 With a family tradition that began in the North America since 1956, Coving shop Ltd has been creating plaster coving, cornices, plaster mouldings and decorative stone gypsum coving art in The UK since 1995. Coving Shop, longevity and reputation proves our commitment and passion toward interior and exterior architecture and on-going interest in dealing with people and companies who appreciate quality in design, products and service. In recent years Coving Shop, has used its extensive knowledge and experience in the architectural plaster coving and cornices industry to develop a line that caters to many tastes and economic levels. Particular efforts have been taken to ensure the highest quality materials are used to ensure the end user will enjoy their plaster coving and cornices for years to come. Our new procedures bring the installation to many of our plaster coving and cornices from mason, down to handyman, so not only will you receive superior product, but you will save on installation costs. Coving Shop Ltd has participated in many prestigious projects through the years and is a company that is built on reputation. We pride ourselves on our reputation of service, which is second to none and we are known to stand behind our product. 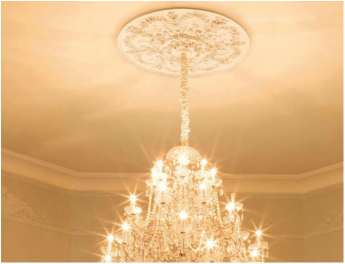 This site is intended to show some our plaster coving, cornices and decorative plaster mouldings products and services. Should you require further information or design suggestions, please contact us and we will be happy to assist you. We are looking forward to working with you on your next project. Ange was educated in the decorative arts in Boston, where he apprenticed for eleven years with his grandfather in Boston, Later in Toronto and Italy. He received his architectural masters from the Boston University. His experience represents many styles of learning. Like ancient history, the architectural plaster moulding orders and more. The applied techniques of traditional methods and materials taught by master sculptors like his grandfather, with over 45 years of experience in the trade, Ange is uniquely qualified sculptor in all aspects to architectural plaster mouldings. His Historic and Artistic Work provides exclusively on decorative conservation historic treasures the professional knowledge needed to do no harm. Ange’s unique attributes can be summed up in three words: knowledge, tradition, and integrity. “Coving Shop, service and products has meticulously high standards like my own. The attitude that Ange has to customer service is certainly a refreshing change to the norm. The staff are of a very high standard and communicate effectively without any fuss. With Coving Shop you can be confident." Funny you emailed as I was lying in bed last night looking at my new ceiling and my gorgeous Victorian cornice thinking what luck I had finding you when I did. 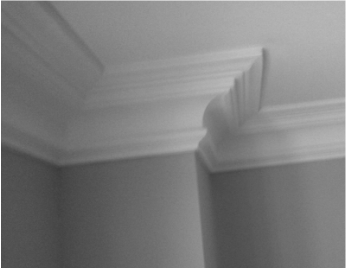 After trawling the internet looking for the perfect Victorian cornice for my victorian flat (and it wasn't easy) I found you and I can only say how pleased I am with the result. The service was speedy, helpful and your prices were more than competitive - they were excellent. Thanks very much. I would highly recommend you to friends and family. I was very impressed with the quality and finish of the Georgian coving supplied and particularly by the prompt, knowledgeable and friendly service. The team at coving shop worked hard to meet my project constraints and provided all the necessary support for its successful completion. Also their catalogue is very extensive and the prices competitive, even factoring distribution in Central London. I would definitely recommend their services. (Dr. J. Cabral, London SW6)"
I will be back on site at the weekend and make last payment. Thanks for all the work and for arranging things quickly. I would highly recommend you to friends and family. I wish to thank you for your excellent service and caring attitude which is very much appreciated. I am glad I found you! There are not many people in the world like you who have patience to listen to the customer's requirements and take all the trouble to meet their needs and become like friends. Mortgage Advisor, Sunrise capital Consultants, London UK"
Just a quick note to say thank you so much for your fast service and delivery last month. I have now put the cornicing up and painted it, and I absolutely thrilled with how it looks! I will definitely be in contact soon when we move on to decorating the next room!